With Thanksgiving right around the corner, home cooks are about to set out on a six-week marathon of shopping, chopping, cooking, and baking that starts just before Turkey Day and runs at a frenzied pace until New Year’s. If the thought of tackling all that meal prep feels daunting, take a breath. You can do it. With some careful planning and organization, you’ll cross that finish line like a champion. So sharpen your knives, scour your roasting pans, get ready to fire up your ovens, and follow these five key tips to getting fabulous meals on the table while barely breaking a sweat. Cooks who have more than one oven have much to give thanks for during the holidays. Multiple ovens mean slashed time in the kitchen and lower stress levels, and “allow you to set everything out on the table hot and cooked through at the same time,” says Victoria Abbott Riccardi, a Newton-based food and wine writer who trained at the Paris Cordon Bleu. “The trick is to use one oven for longer-cooking items, such as a roast, and the other oven for finishing off or reheating previously prepared dishes,” Riccardi says. Steam ovens offer cooks some very tasty advantages. “Billowing clouds of wet heat plump the food and render it tender, succulent, and drenched with natural flavors,” Riccardi says. Root vegetables and squash especially benefit from steam cooking, because wet heat gives these naturally dense vegetables a moister, lighter consistency while accentuating their earthy sweetness. 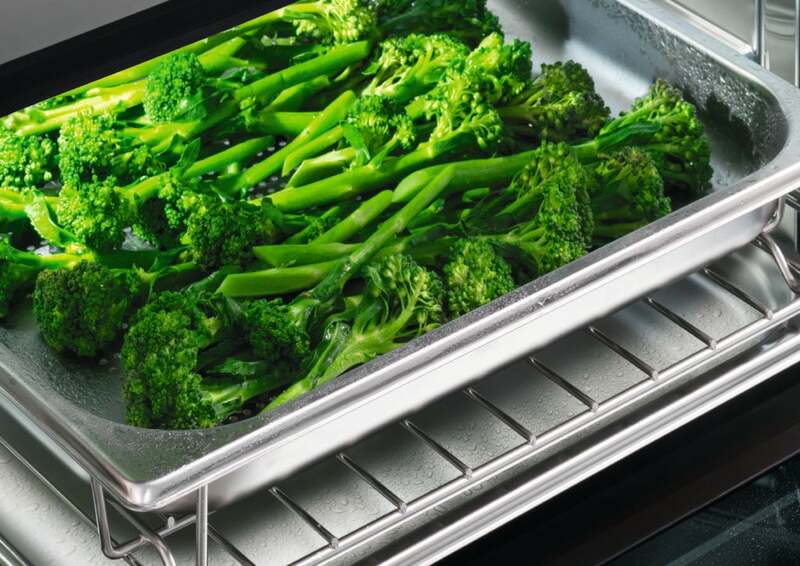 Steam ovens also make it easier to lighten up those holiday dishes that contain loads of fat. “Steam cooking seals in flavor,” Riccardi says, so you can cut back on butter or oil without compromising taste. When it comes to dessert, a steam oven can produce exceedingly tender gingerbread and soft, creamy custards. The final touch to a perfect holiday meal doesn’t have to be complicated. “The trick I like best for desserts for a holiday meal is pre-making and freezing them,” says Carina Tan, a personal chef and owner of Carina is Cooking, an in-home personal chef service in Sudbury. Cookies and cakes can be leisurely baked days or weeks ahead of time, frozen, and thawed the day before the holiday gathering. “Make sure that your cake is iced and decorated only on the day of the party, after thawing,” Tan notes. You can even pre-assemble most pies—those darlings of the holiday dessert set—and freeze before baking. 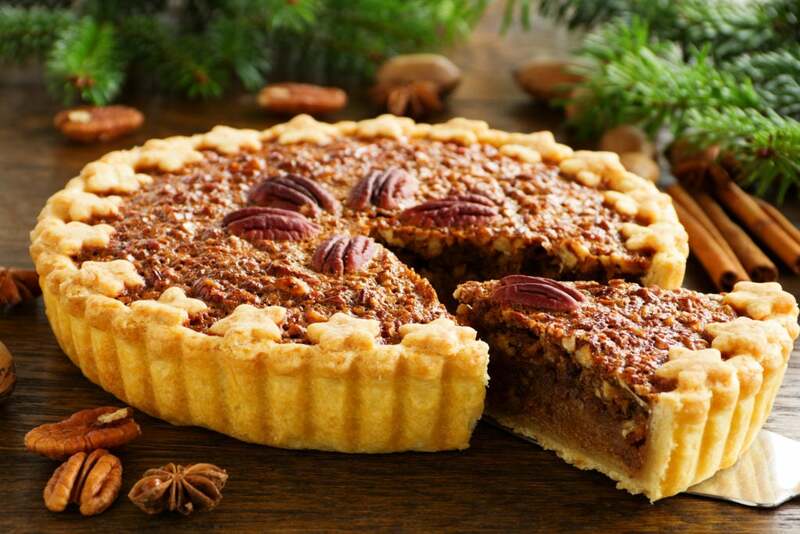 Here’s how Tan does it: Prepare the pie as usual, but use tapioca or cornstarch to thicken the filling rather than wheat flour, which doesn’t freeze well. After assembling it, put it in the freezer, uncovered, until it’s frozen solid. Then wrap it well using several layers of cling wrap. On the big day, unwrap it and bake at the usual recommended temperature, adding an extra 10-15 minutes of baking time. Making pecan pie ahead of time is a cinch. Bake it and freeze it in the manner Tan describes. When you’re ready to thaw it, place it in the refrigerator for three or four hours, or out on the counter for two hours at room temperature. Finally, pop the pie into the oven at 400 degrees F for 12-15 minutes to warm it up before serving. No matter how you slice it, dinner and dessert must come to an end. Now pour yourself a cup of coffee, put your feet up, and appreciate that you’ve made it through another successful holiday meal. 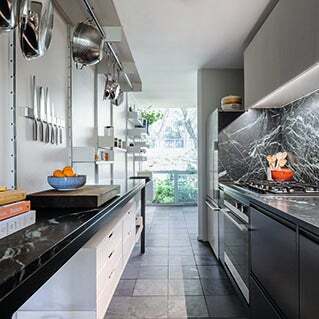 Expand what you believe is possible in the kitchen and make the heart of your home beat in sync with your needs and lifestyle.